The location of Orange County’s first veterans cemetery could change again as the county Board of Supervisors will have a closed session discussion June 26 about the possibility of creating the cemetery on county-owned land near Anaheim Hills. New Plans For an OC Veterans Cemetery? Irvine City Councilman Jeff Lalloway said Monday he will ask the City Council to approve Orange County’s first veterans cemetery in its original site near the center of the Marine Corps Air Station El Toro after voters overwhelmingly rejected a land swap that would have moved it to strawberry fields near the 5 and 405 freeways. 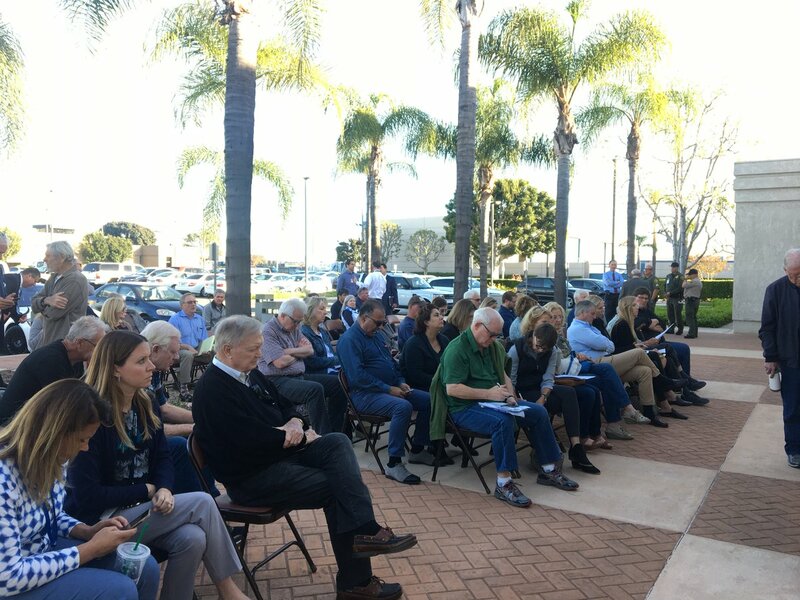 Irvine voters will decide the location of Orange County’s first veterans cemetery after a contentious meeting that pitted members of the public and City Council against each other over whether to overturn a land swap ordinance between the city and a developer. The location of Orange County’s first veterans cemetery may be decided in Superior Court as the result of a lawsuit filed by former Irvine Mayor Larry Agran.